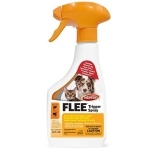 Flea and tick treatment spray-on topical flea control formula can be applied directly to pets to provide fast-acting, long lasting, waterproof control of fleas and ticks for up to 30 days. Spray bottle is easy to use, ensures fast and even application and can be reapplied regularly. 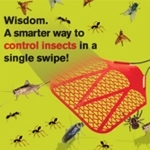 Kills fleas before they lay eggs, effectively preventing reinfestation.